The beginning... about seven hours in - I always tend to paint in the main features early on - to allow my client's to see good progress - feedback to me at this time is very valuable! I "underpaint" with the softest of pastels - colours you wouldn't expect to see are often seen at this early stage! 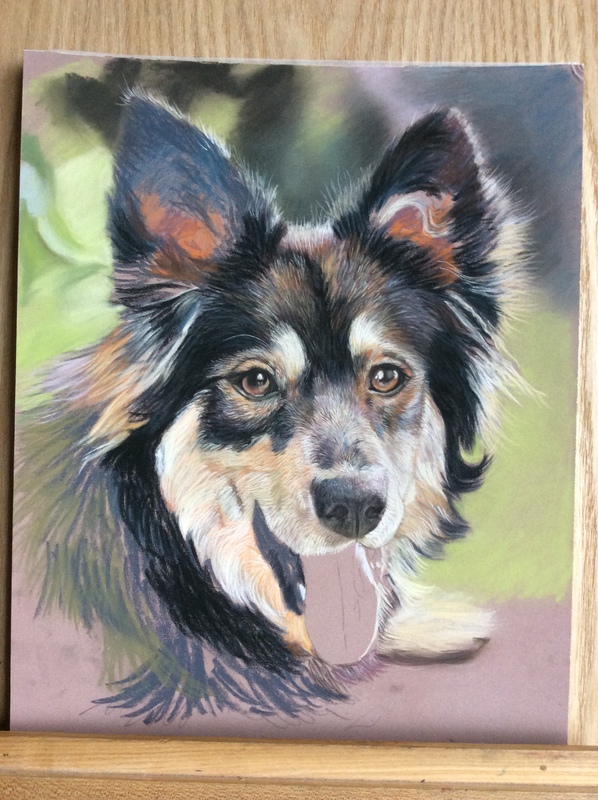 More unusual colours, and starting to get a general feel of the background and how it will look overall.....The main features have almost been "set" and you notice more fine detail now in the fur especially on the face. Starting to add more of the chest and legs, the pastel is applied roughly at this stage and will be blended with other colours. 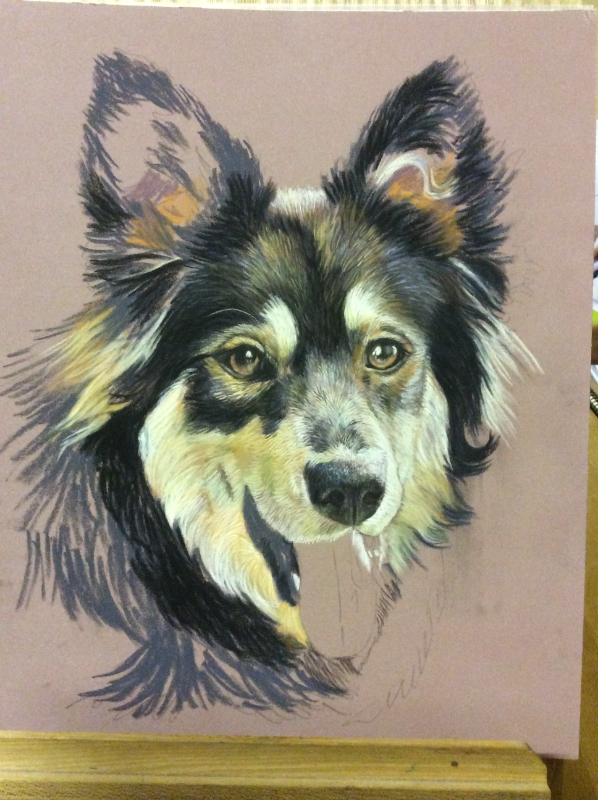 There is a lot more work to do at this stage - the tongue, the inner ear fur and to generally put the fine details in....The portrait's "feel" is coming through now! The finished portrait 12 x 10 inches on Pastelmat paper. It is now ready for framing and hanging on the client's wall! 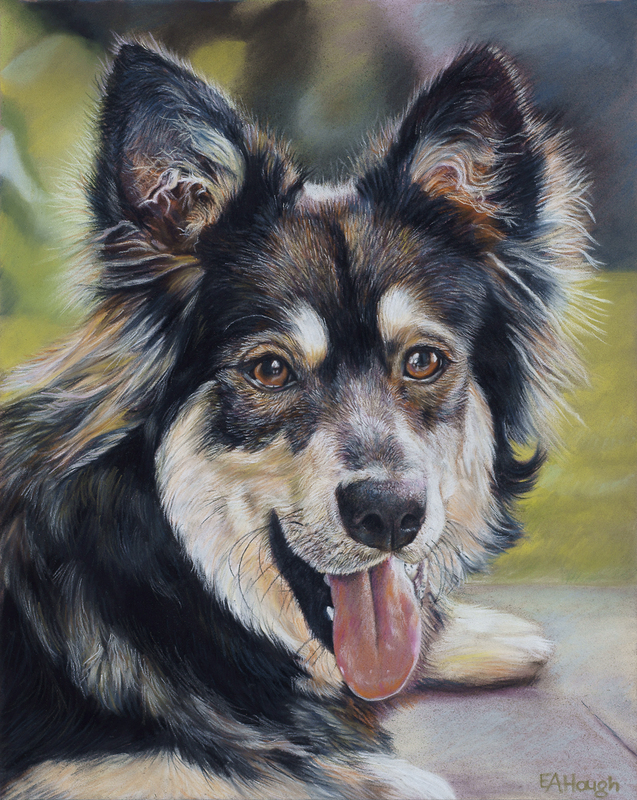 A lot of fine details in the fur... this beautiful elderly Border Collie took 19 hours to complete, a lot of the fine details in this were achieved with small sharp pieces of soft pastel and of course pastel pencils. 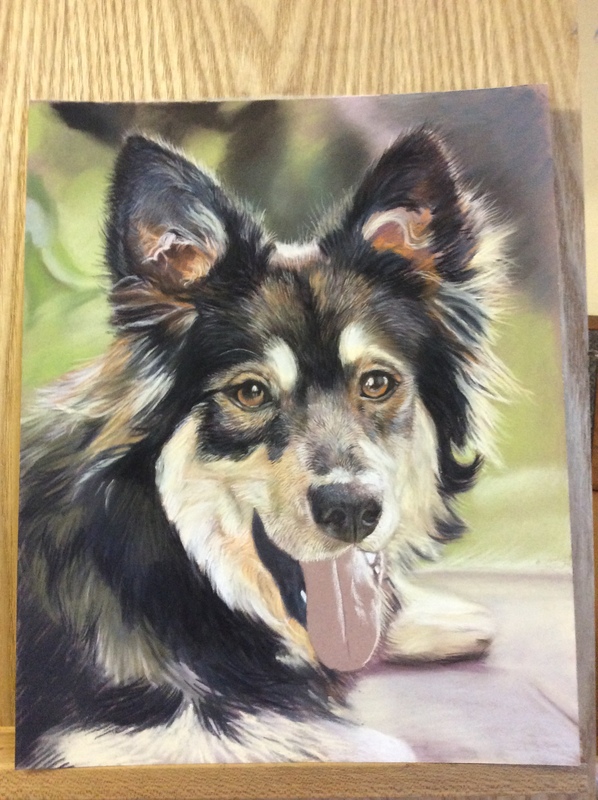 The eyes are not that dissimilar from the early stages of the portrait....you can almost see the "wonderment" in them! 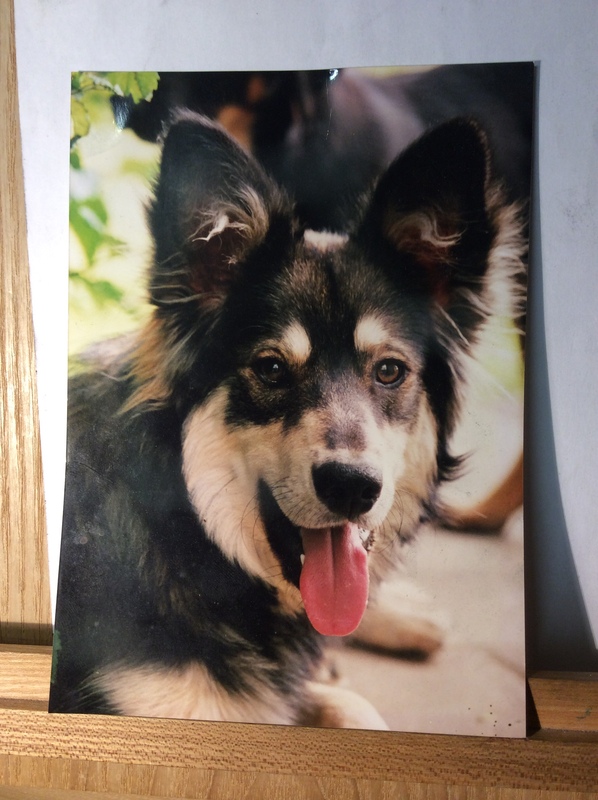 Here is the reference photograph - it was 6 x 4 inches in size and was very clear. 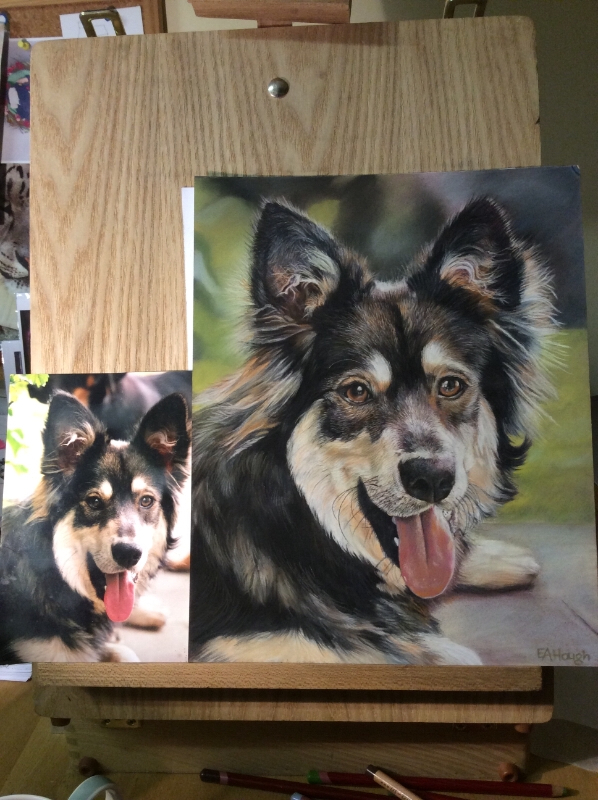 It enabled me to put a lot of fine detail in the portrait!